Networking is intimidating. But if you’re prepared for the evening it can also be productive and fun. Networking events can be intimidating. When you walk into a room full of strangers who all seem comfortable being there and know everyone else in the room, you feel like the outsider. You get a pit in your stomach as you think back to middle school and those awkward feelings you thought you’d never have to relive. The good news is, it doesn’t need to be this way. At networking events, people want to meet strangers and are generally relieved when you take the initiative and speak with them. Everyone is putting on their brave face. You’re not the only one feeling uncertain about being there. 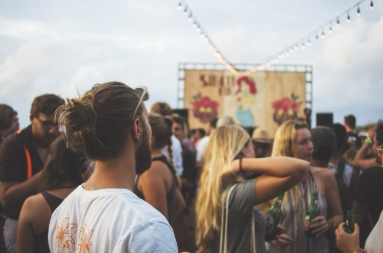 Here are four quick tips to help you make the most out of each event you attend. Know your goals. It’s important for you to know why you’re going to an event. Is it to meet one person in particular; to interact with a specific industry; to simply mingle and let serendipity run its course; or to casually get to know people in your community? Whatever your goals are, identify them. It will help shape which events you attend, what you do when you attend them and the conversations you have once you arrive. Do your research. Do some research on the organization that is putting on the event. What types of people typically attend? Does their demographic seem like a good fit for the types of people you’re looking to meet? If so, do they offer any lists for you to see who will be attending or who has attended in the past? Determine who organizes the event and do a little research on them. Find the organizer. When you arrive at an event, ask the people at the registration table who the event organizer is. If you’ve already done your homework, you’ll know a bit about them and what they look like. Seek them out and introduce yourself. Feel free to let them know what motivated you to attend in case they can help you with your goals that evening. Scout a location. It can be tempting to stay close to the entrance but it’s actually best to hang out off of a corner of the bar. Realistically, most people go straight for the bar when they get to an event for a safe haven and to take the edge off. This gives you an opportunity to speak with them while they wait or when they have a drink in hand and are looking to find someone with whom to speak. Now that you’re comfortably settled into your first conversation at an event, check back for further tips on what to do during and after an event. This article was originally published on BusinessCollective.com.